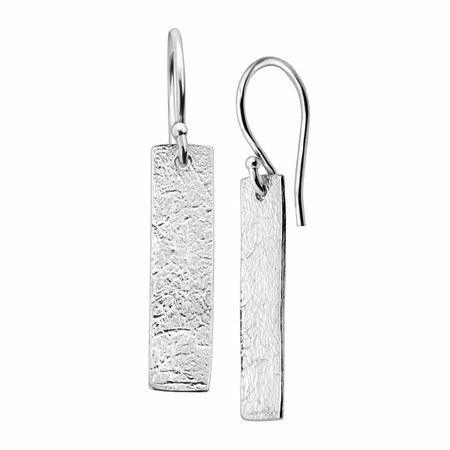 These simplistic drop earrings are anything but basic - and feature lots of texture and a high-shine finish. They're easy to throw on with sweaters and heavier layers, and fun to wear with flowy maxi skirts and tucked-in tops. Earrings measure 1 1/4 by 1/4 inches and feature French wire back-findings.